LASIK Won’t Rob You of Near Vision—Time Will! 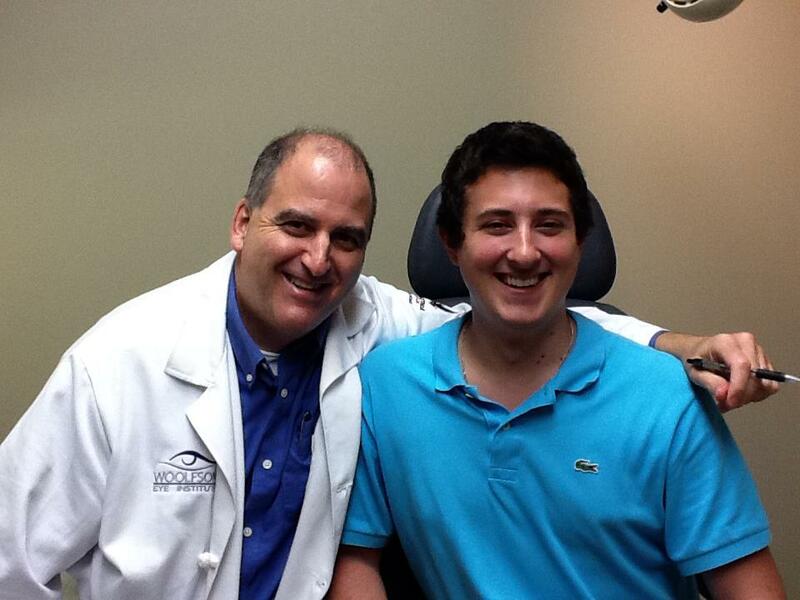 If you’re like most patients, you want to know everything that’s going to change about your vision after LASIK. The average age of a Woolfson LASIK patient is approximately 38 years old, and if you’re like the typical patient, you’re looking for correction of nearsightedness; in other words, your distance vision is blurry and you wish to escape contacts and glasses. You also have to prepare yourself for the effect that LASIK will have on your near vision. Most people are a little surprised, and sometimes even disappointed upon being told that they’re going to need reading glasses following LASIK. Does LASIK cause your near vision to change sooner? No, LASIK is an alternative to glasses and contacts. However, if you’re a nearsighted patient who’s approaching 40, it may be hard for you to imagine having difficulty with your near vision, since near vision has always been what you do best. You, like everyone, will eventually develop an eye disorder called presbyopia (which literally translates to “old eyes”). If you’re over 40, it’s probably already happening. The lens and muscle system within the human eye is simply programmed to break down over time—like an autofocus camera that wears out. Once that occurs, glasses are needed for near vision whether you’re wearing contacts or you have LASIK. We spend a lot of time explaining this concept to patients because there’s nothing more disappointing than a vision-related surprise. During your LASIK evaluation, we can help you recognize that near vision fades, with or without LASIK, and we can even show you what your intended result will look like. That way, you can move forward with realistic expectations—what Woolfson LASIK can do for you. What if you just can’t live with having eye surgery that still leaves you wearing glasses for near? It turns out we can provide alternatives that WILL give you everything—monovision LASIK or multifocal lens implants. But those are topics for another day. If you would like to discuss LASIK, as well as your other options for vision correction, please call or contact us here to schedule your consultation today!